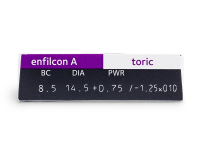 Avaira Toric contact lenses are designed to correct astigmatism. They feature embedded UV protection and have a high level of oxygen permeability for increased health and comfort. Aquaform technology helps keep lenses moist throughout the day. 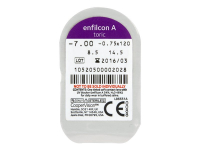 TopVue Premium for Astigmatism are toric contact lenses. Their design ensures stable positioning of the contacts on the eye, and their high oxygen permeability and high water content provide all-day comfort. Pack contains 3 lenses. 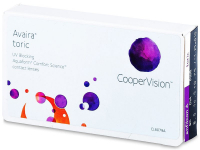 Avaira Toric are bi-weekly contact lenses manufactured by CooperVision to correct astigmatism. Avaira Toric lenses are made from a silicone-hydrogel material known as Enfilcon A, which has the ability to maintain a stable water content. This package contains three lenses. Aquaform® Comfort Science™ technology ensures that the lenses have a balanced ratio between water content (46%) and oxygen permeability. The water is tightly bound within the lens, therefore it is able to remain moist, flexible, and comfortable all day long. Avaira Toric's high-quality optical construction and aspheric lens design ensures clear vision and correction of astigmatism, even in low-light conditions. The rear surface of the lens ergonomically adapts to the corneal surface so the lens maintains a stable position in the eye. The lenses are also equipped with embedded UV filters. These UV filters provide partial protection sun damage. Please note that contact lenses containing UV filters are not meant to serve as a full replacement for sunglasses, because they protect only a small part of the eyeball. 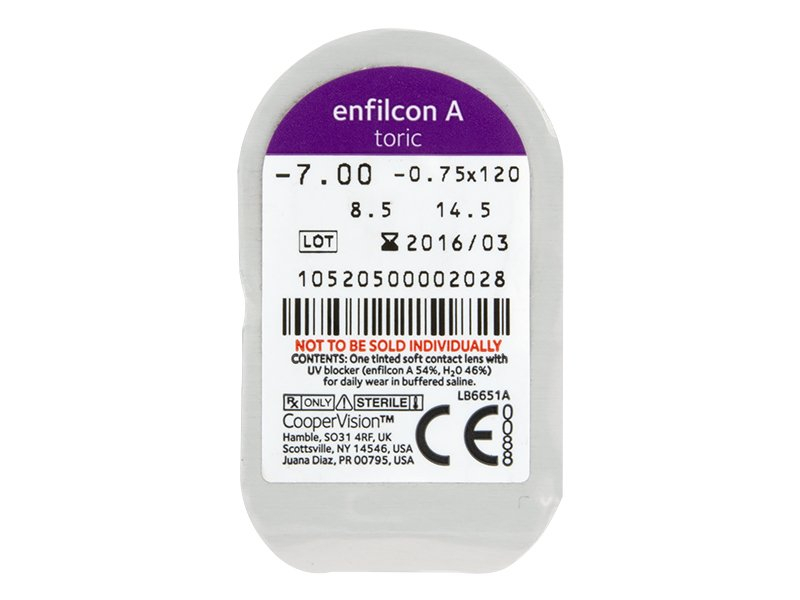 The lenses have a light blue tint for easier visibility and handling. Avaira Toric are also available in a package of six lenses.